Twitter Analytics provides detailed performance stats that are not accessible by 3rd party social media analytics tools. These stats contain a wealth of information and are available to anyone who has created a Twitter account. However, the key is to understand how to unlock this meaningful data to get the most value. Just like most tools, the results are only as good as your strategy and the work you put in. In this post, we’ll provide a few tips on improving your Twitter social media marketing strategy based on your Tweet stats. 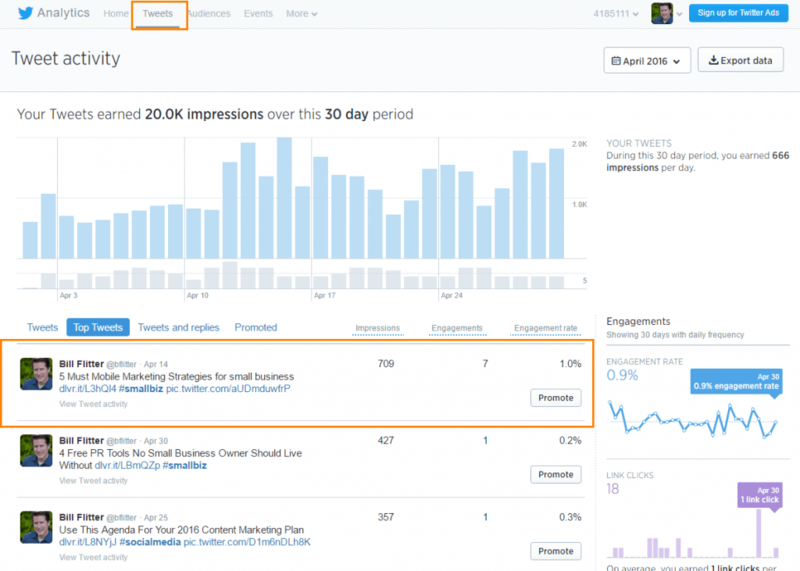 What’s your Social Media Marketing Strategy for Twitter? Why did you set up shop on Twitter? What did you hope to achieve? 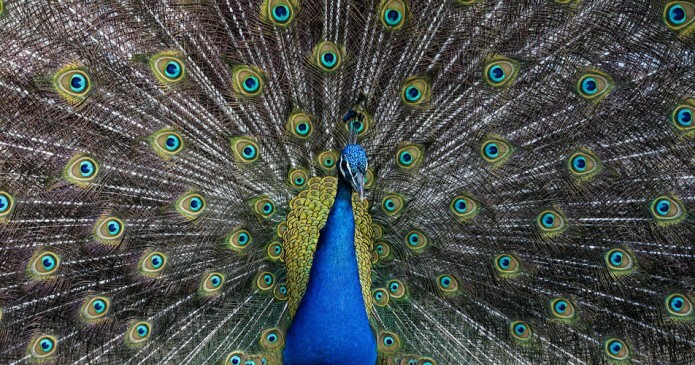 Where does Twitter fit into your marketing strategy? Understanding where Twitter fits within the overall mix of online marketing and communications will help with: allocating, monitoring and engagement of resources, establishing a working social media policy, workflow management and reporting. 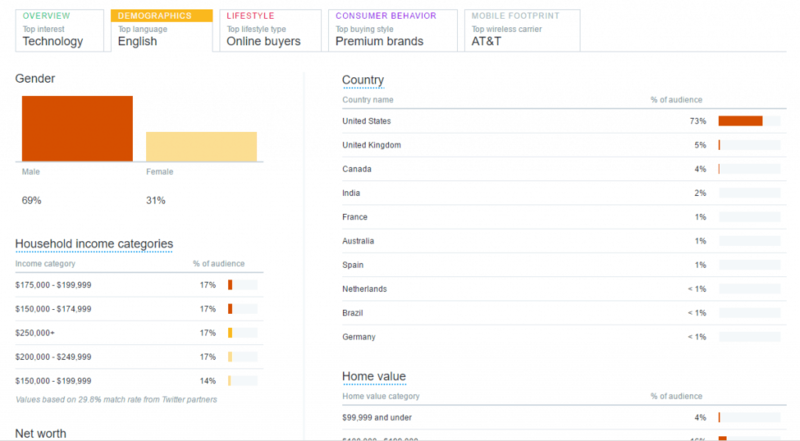 Once you answer the question of why (see above), you can then build your Twitter analytics strategy to find the answers you need within the stats that Twitter provides. How does time of day and day of the week influence the performance of your tweets? Do certain times lead to more impressions? What is your optimal tweet frequency? Are you burning out your audience by over-tweeting or can you stand to tweet even more than you currently do? Is your audience more responsive to a fun and conversational tone or more business-like, professional-sounding tweets? How does media perform in your tweets? Do people love videos and photos, or do they prefer text-based tweets? How does link placement in your tweets impact engagement? What kinds of calls-to-action (CTA) generate the most engagement with your audience? Are blatant CTAs more impactful, or does your audience appreciate subtlety? The good news is that Twitter Analytics is FREE. The dashboard is the best place to find detailed information about how your tweets are performing. The analytics dashboard also provides you with performance graphs for the last 28 days. You can also see all your Tweet interactions and the best tweets you shared. PRO TIP: Append your Tweet URLs with UTM parameters for even more insight inside Google Analytics. 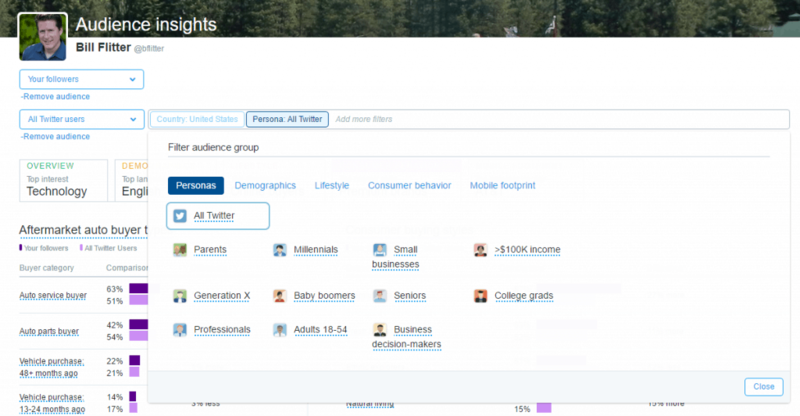 1 – To quickly access the data, you can go straight to analytics.twitter.com. Within your analytics dashboard, you will see a menu along the top of the page with several options. See example below. Make a mental note of this as we will be exploring a few of these menu options throughout this post. Personally, I’ve found a lot of value hidden in Twitter stats to help improve my Twitter marketing strategy. I can also test what I find on Twitter on other social networks – an added benefit! Newbie Tip: If your audience is not sufficiently large enough to provide insights, read How to Get Twitter Followers in 7 Easy Steps. The above provides me with a great level of detail on my Twitter followers. However, one of the hidden gems is the audience comparison feature. If your follower retweets your content, your content is exposed to that audience of your followers = viral marketing! In the example below, I compare my Followers to my Organic Audience. This comparison can be helpful to understand future content decisions. 2 – You can also compare your audience to a Persona (parents, generation x, small businesses, etc.). This comparison is extremely valuable if your target market fits into one of the Twitter Personas. This comparison provides insight into the Persona groups interest and whether or not your current efforts are on target to attract that type of follower. It also compares them to your current audience. Here again, I might look to share more content on topics that resonate with the Persona group. Goal: Reach Small Business owners on Twitter. Remove the comparison from the query and you have just the Small Business Persona Interests. Again, you can tailor your content strategy to fit the interests of the target market. The Tweets tab holds the answer to what content is resonating with your followers. If your engagement looks flat, review the above reports. Maybe you’re missing a key interest area. To access Tweet analytics, click the Tweets tab (see image below). In the example below, I’ve highlighted my Top Tweet. This tweet tells me that my audience is interested in mobile marketing solutions. I curated this article, so the results are interesting because it also provides me with a great topic for my next original blog post! Furthermore, of my top-performing tweets, 90% included an image. Engagements (retweets, likes): Total # of times a user has interacted with a Tweet. The ‘top’ tweet in the image above, also had the most impressions. As I look through my data, I see other tweets had fewer impressions but a higher engagement rate. Since engagement is more important to my marketing initiatives, I put more weight on the details of those Tweets (i.e., what was the headline, call-to-action, and image, etc.). I want to repeat what works. What do I do with the Twitter Stats? The data should bring to light what you need to change or what works. You are a real-estate agent that sells high-end homes. 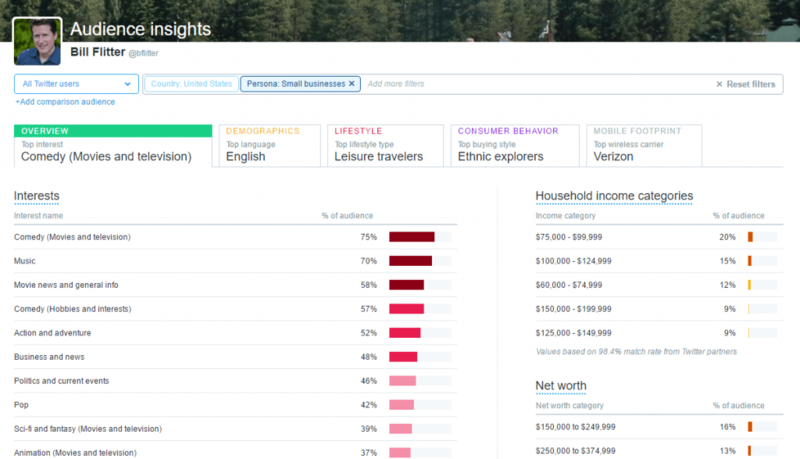 Your Twitter demographic data clearly points to the fact that your audience’s household income is well below your target audience. Time to tweak your content strategy and find new people to follow. Identify what Tweet mechanics work, and which aren’t as effective. Keep an eye on elements like different calls to action, the inclusion of rich media and copy length. Pay attention to when you tweet. Note which time of day and day of the week yields the highest engagement and impressions. Is your audience mobile? If yes, is your site mobile friendly? If you are feeling adventurous and a master of your data, try this tip from Shift Communications. 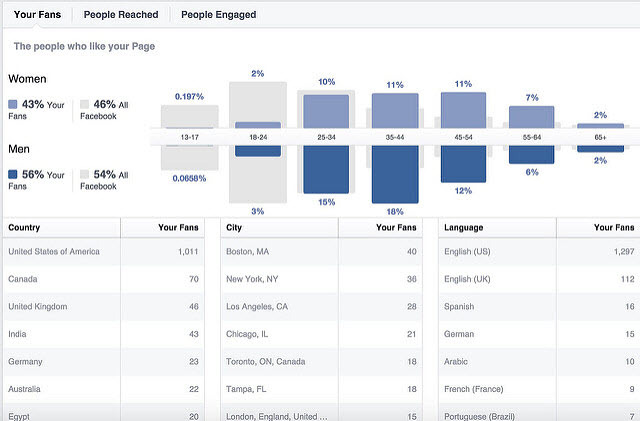 Shift suggests comparing your Twitter analytics reports to your Facebook analytics reports. How are your two audiences similar? How are they different? 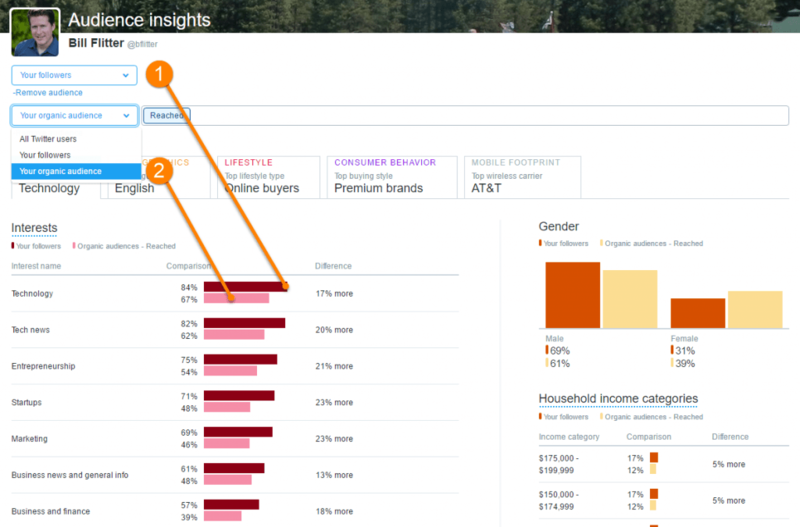 With enhanced data from Twitter, you can now better understand if you’ve got the same audience or two very different audiences, and use that information to guide your content strategy. Don’t’ like the data you discovered in your Twitter analytics? Want better results from Twitter? Continue reading seven key ways to get more clicks from each tweet. I always wonder how accurate twitter’s household income stats are, my company’s audience is always 100k+ which looks odd to me. Is it ip or title based or just a rough approximation ? Like most stats, they are guidelines, not rules. The Twitter household income stats are based on IP address and a bit of secret sauce.